Graduation season is officially here! Families across the globe are celebrating the accomplishments of loved ones as they walk across the stage to accept their degree or diploma. While it seems like just yesterday (for us 80s babies anyway) that Chili dropped the album Ooooooohhh… On the TLC Tip with her girls T-Boz and Left Eye, it’s been over two decades since the trio took over Bowie State University’d dorms to shoot the colorful video for their hit, “Baby-Baby-Baby.” Now, Chili is back on campus, only this time for her son’s graduation. 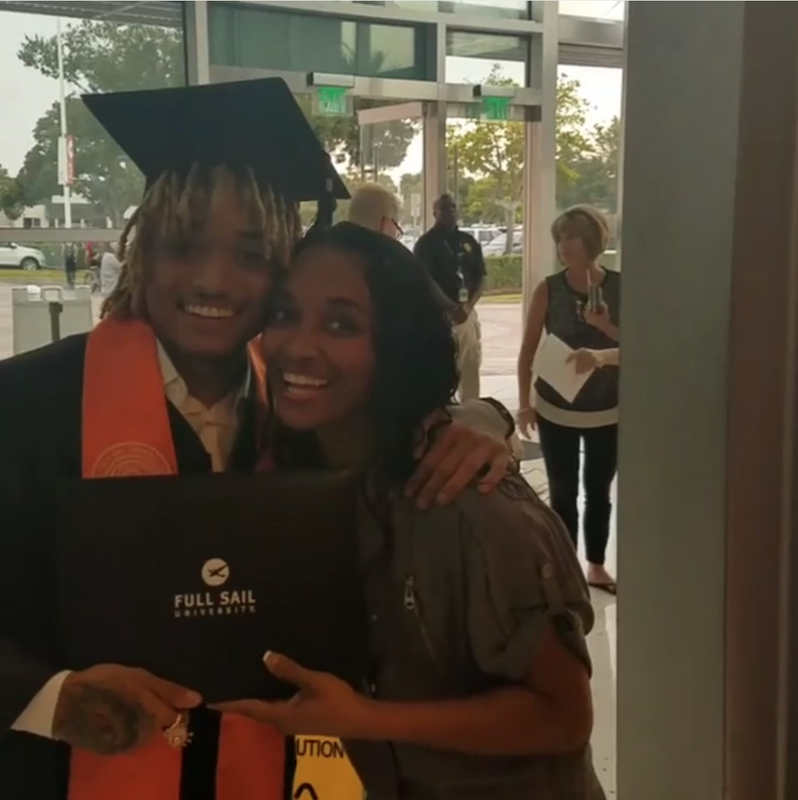 Chili’s son, Tron Austin, just received his bachelor’s degree in music production from Full Sail University, and of course, the proud mama posted the jubilant moment on Instagram. His dad, music producer Dallas Austin, was also on hand to share in his son’s big moment. “No words could express how proud I am for you to be my son now,” Dallas Austin wrote on Instagram. Tron also took to the social network to give God, and his family, props for supporting him through this journey. Now that he’s earned his degree, Tron is looking to follow in his famous parents’ footsteps. He’s a singer-songwriter like his mom and dad, and has a new EP out titled, Reflectionz.